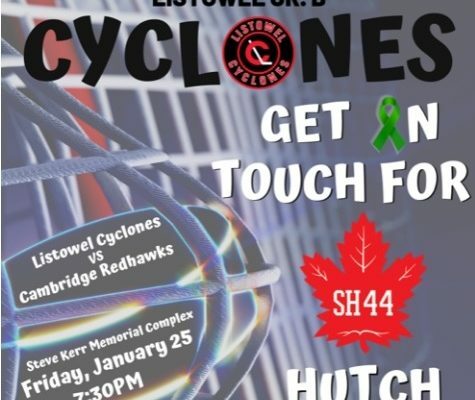 The Listowel Cyclones are having a mental health awareness night Friday at their game versus Cambridge. 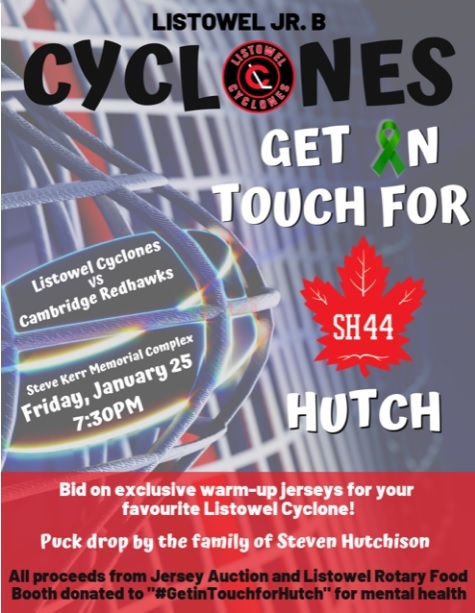 The team is auctioning off jerseys with proceeds going to the “Get in Touch for Hutch” campaign, in memory of former player, Steve Hutchison. All proceeds from the jersey auction and Rotary food booth will be donated towards this campaign. The Cyclones host Cambridge tomorrow night at 7:30pm.